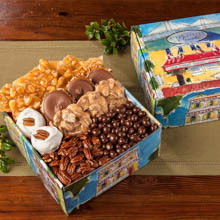 Our signature boxes and our handmade candies combine for a winning tower of goodness! 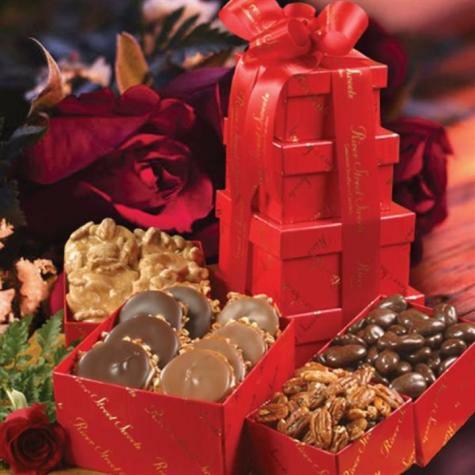 Each magnificent tower includes World Famous Pralines, Milk & Dark Chocolate Bear Claws, Glazed Pecans and Chocolate Covered Peanuts. Our new signature boxes combined with our same great taste! Once again, I recently reached out to River Street Sweets to fulfill my gift needs. I was surprised to be greeted by one of MY VERY OWN REVIEWS that you had published from last year! We have an extremely well known Chocolate Shoppe in Des Moines. My recipient of your "Tower" stated that YOUR Bear Claws put theirs to shame. I FULLY AGREE! My sister and family enjoyed the delicious bear claws from River Street Sweets. 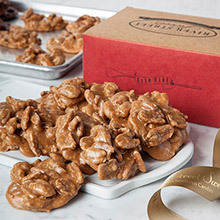 The bear claws are one of a kind and make a delicious gift ! I've sent numerous products of yours to family/friends coast to coast on many years. The recipients are ALWAYS thrilled and complimentary. It was a bit ironic this time, because the daughter of the person that received this Tower was actually touring your Savannah facility the same day she received her surprise. I joked and said her daughter should look for MY framed picture in the main lobby. More orders to come! I bought this as a gift and the delicious Bear Claws were gone in mins! Actually, everything was delish. The packaging was very pretty and festive. I have to say that the quality and customer service is first class!!! I had a mailing issue (which I was to blame) and Laura really helped us out! The items still arrived fresh for Mother's Day. 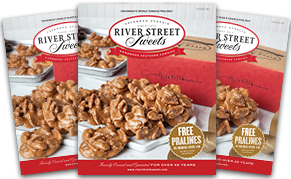 We plan on using River Street Sweets in the future, not only because they serve a great product with a dramatic presentation, but we really appreciate great service! Thanks Laura!!! Recipient lives in Naples, said product was good, individually wrapped. However, the picture she sent me of the tower appeared small. I didn't see how many pieces were in the package -- not specified in the description. Owner Response: Thank you for taking the time to provide a review! 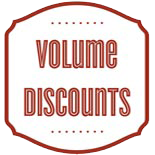 Details for what is included in our Towers, Baskets and other items, can be found under the Content Tab online. 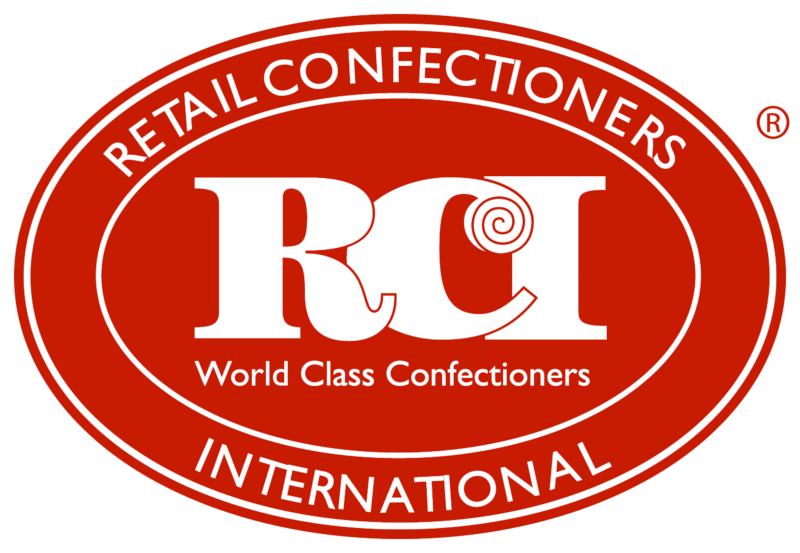 Our Customer Service Representatives are also happy to answer any questions and can be reached at 1-800-793-3876 or customerservice@riverstreetsweets.com.